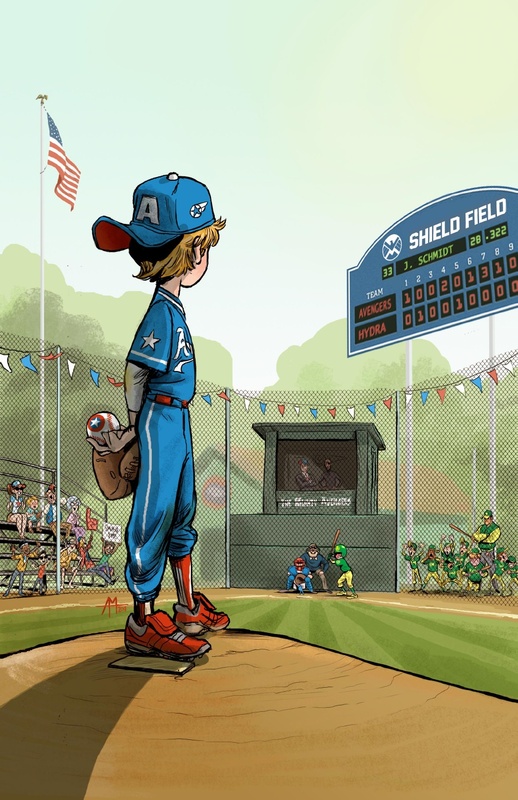 There is a little Captain America in all of us. 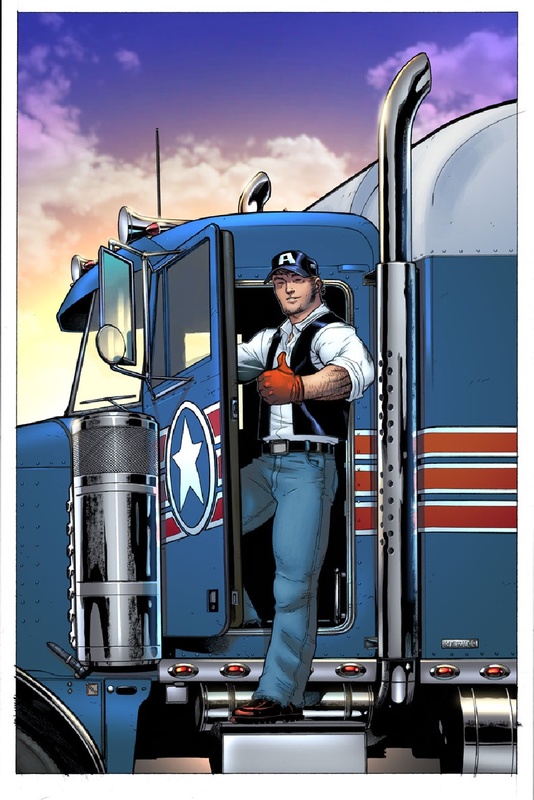 Marvel Comics has released a wonderful collection of variant cover art for several of their upcoming comic books being released in July as a way to promote the upcoming Captain America film. 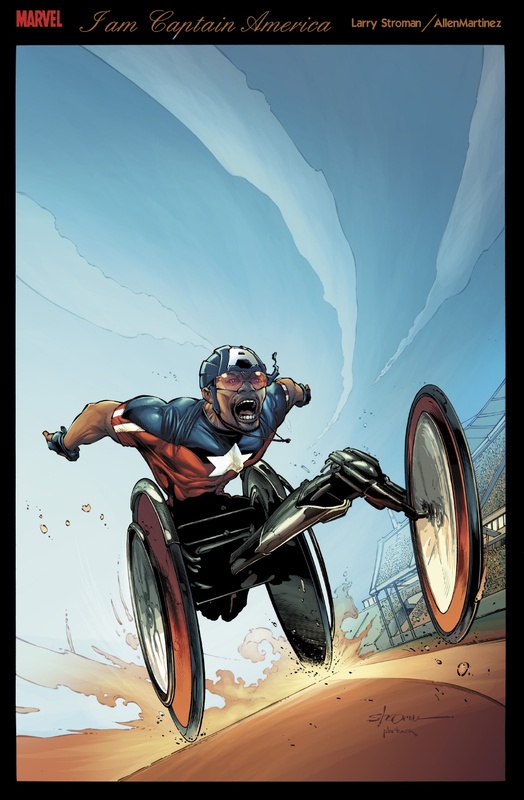 The theme of these variant comic book covers is I Am Captain America. 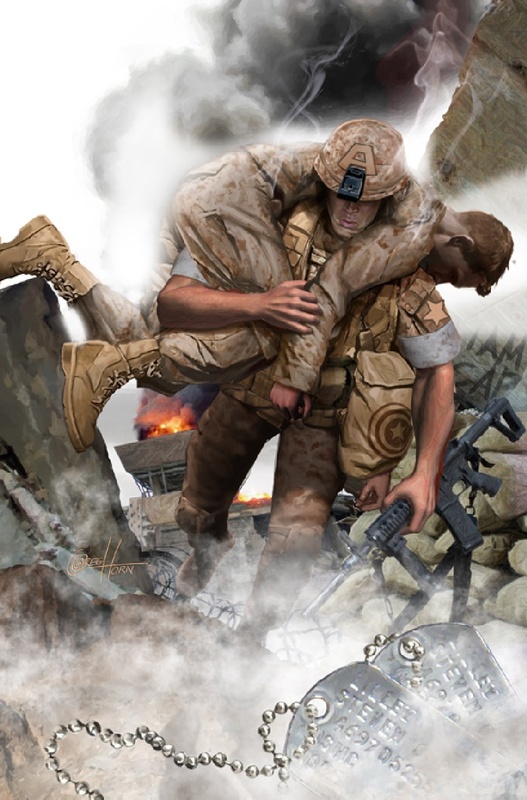 The covers were done by several different comic-book artists, and each cover depicts the real-world American heroes. 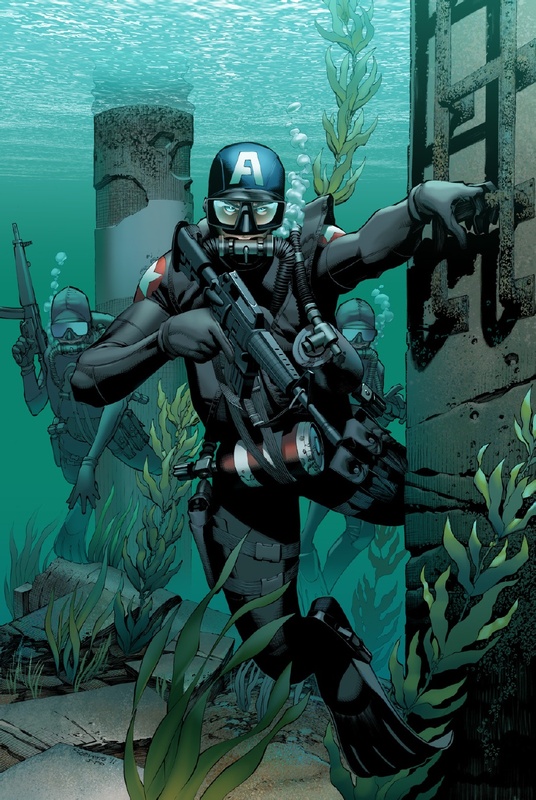 Each image includes a recognizable image from Captain America. 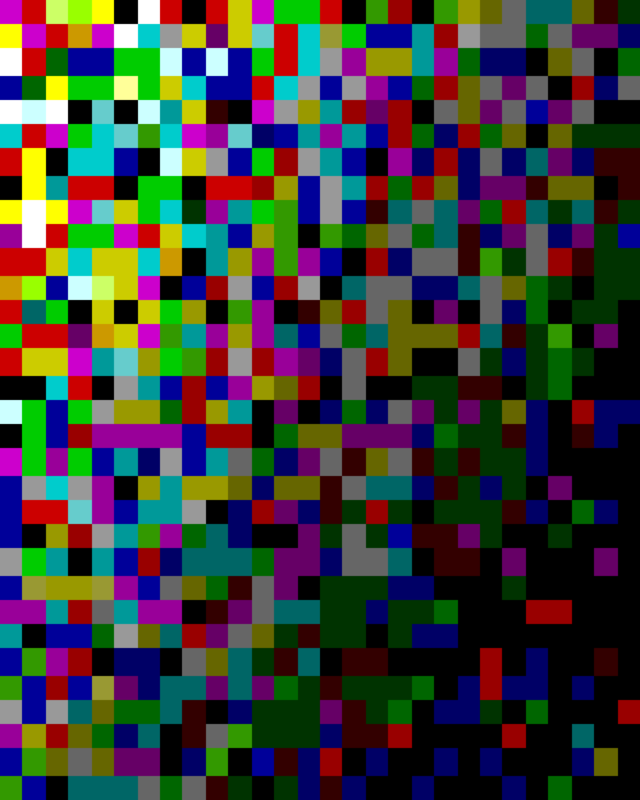 Check out the cover art and hit us up with your thoughts! 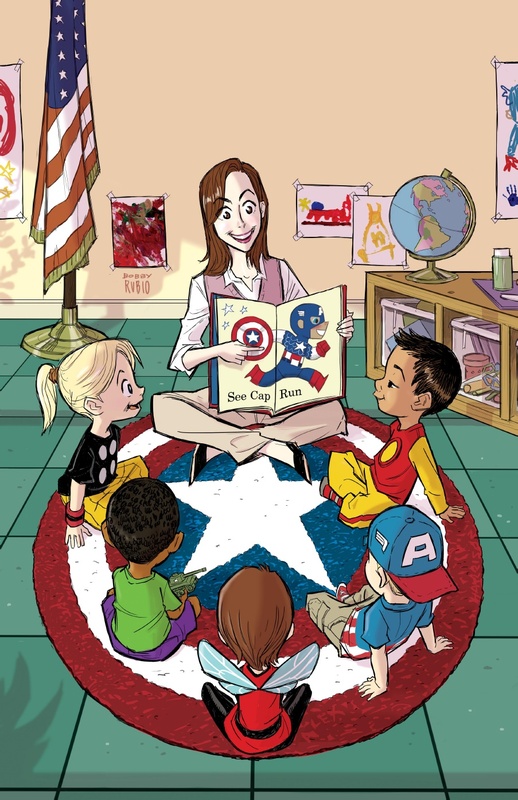 The image above was created by Pixar story artist Bobby Rubio (Incredible Hulks 632), and features a kindergarten teacher reading to kids. 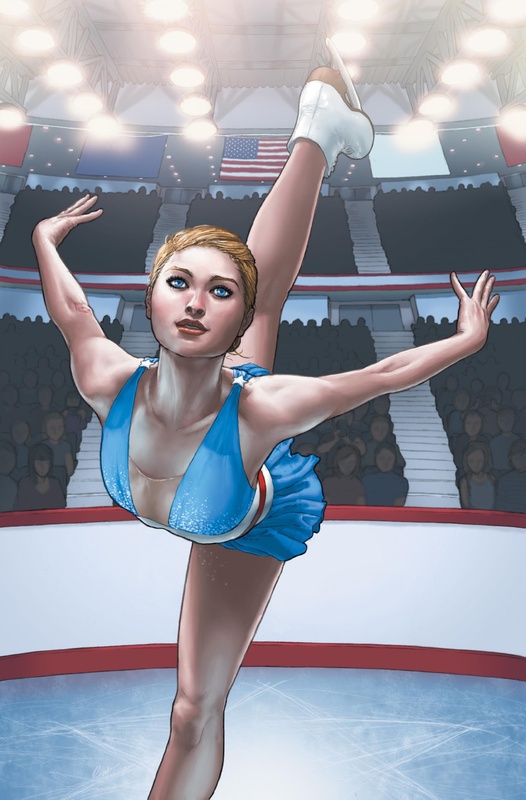 The image directly below was created by Marvel Editor-in-Chief Joe Quesada. 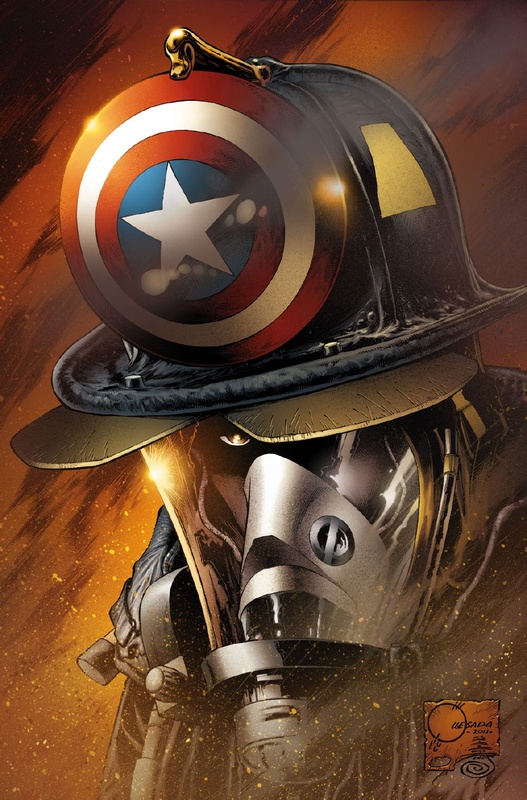 It shows us a firefighter in the heat of the moment for Wolverine issue 12.